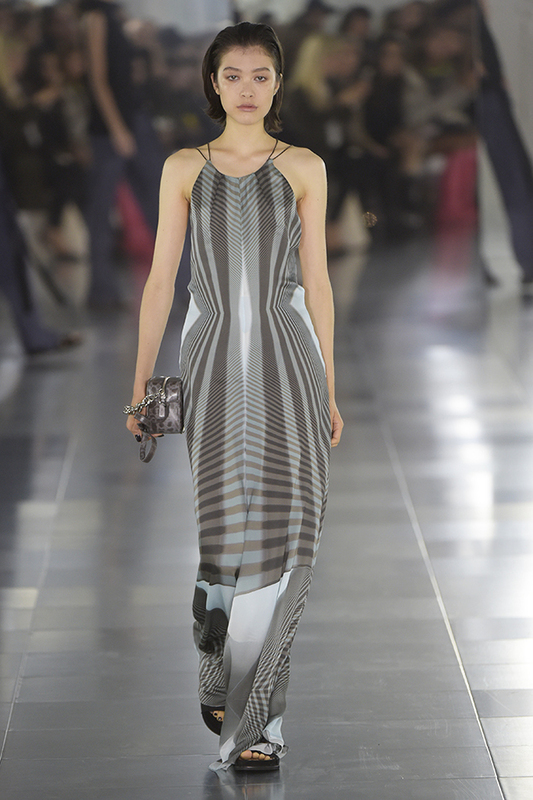 Long, light and lean. 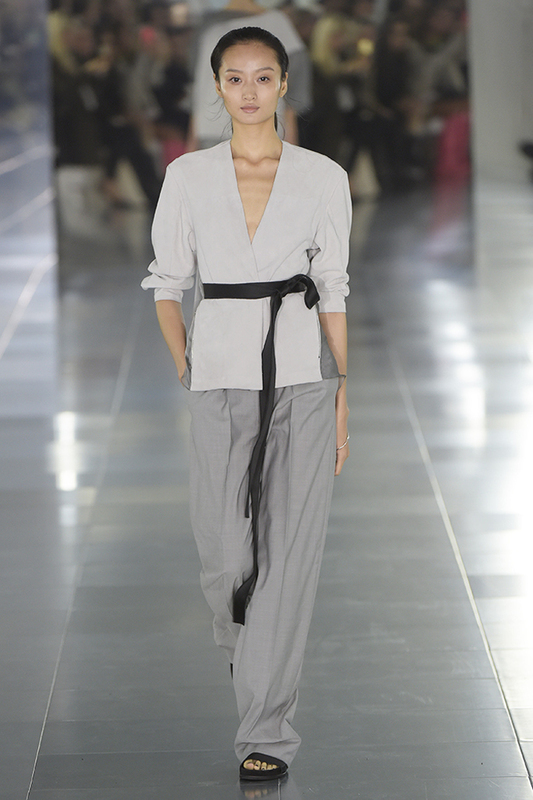 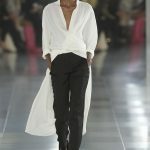 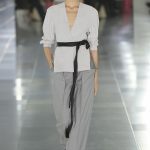 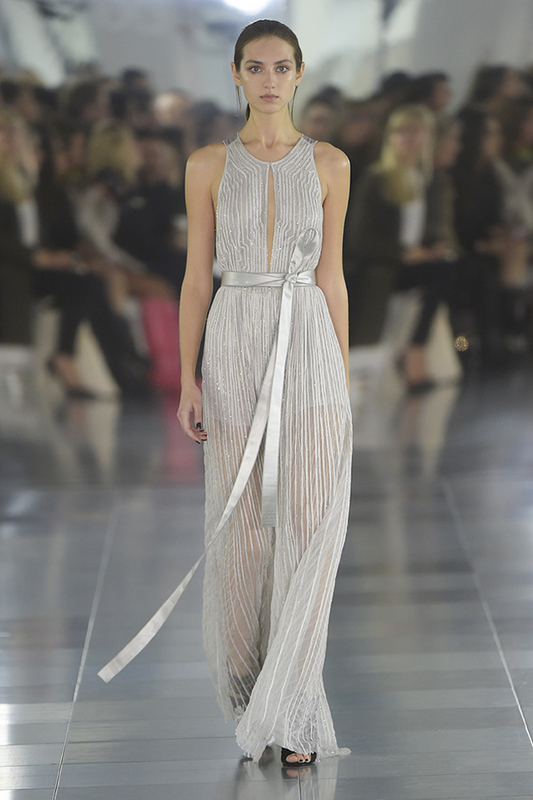 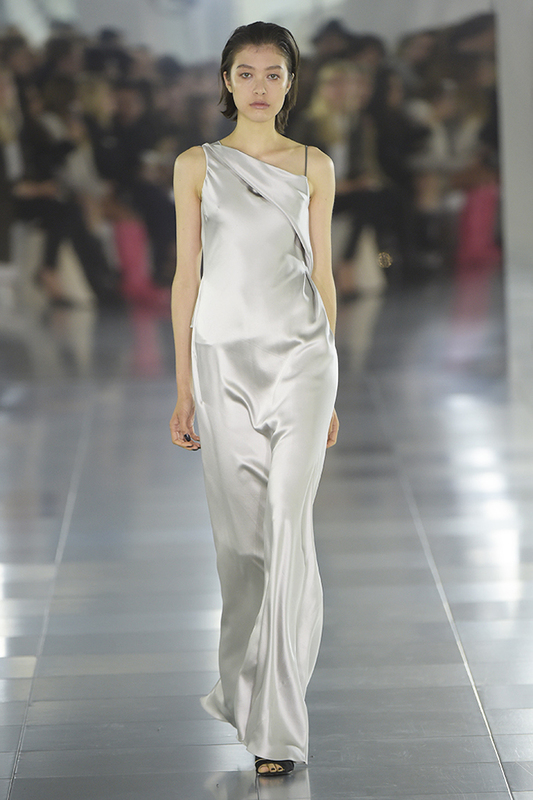 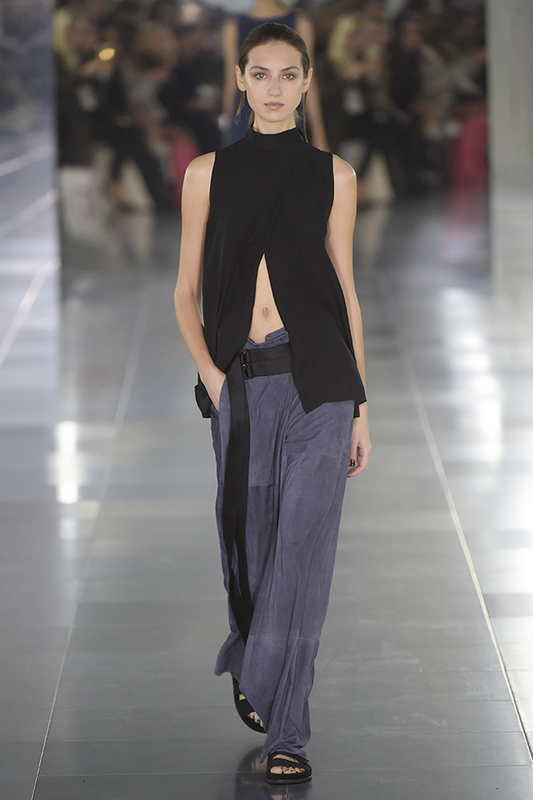 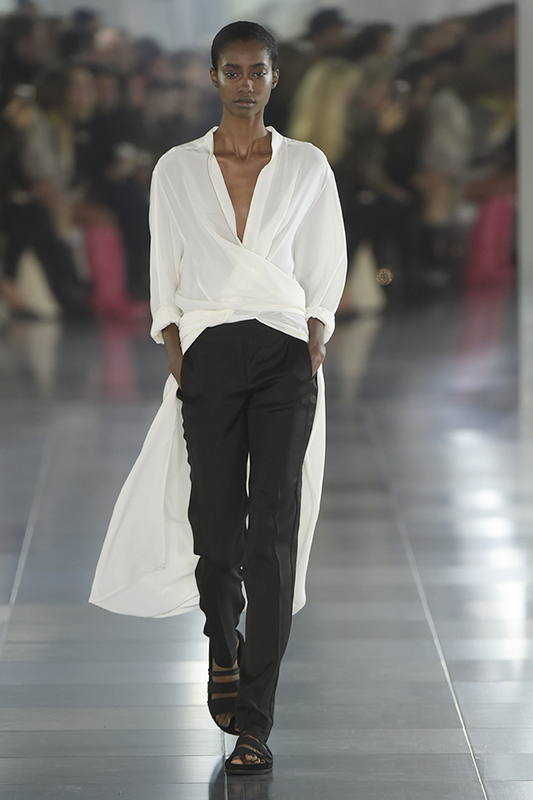 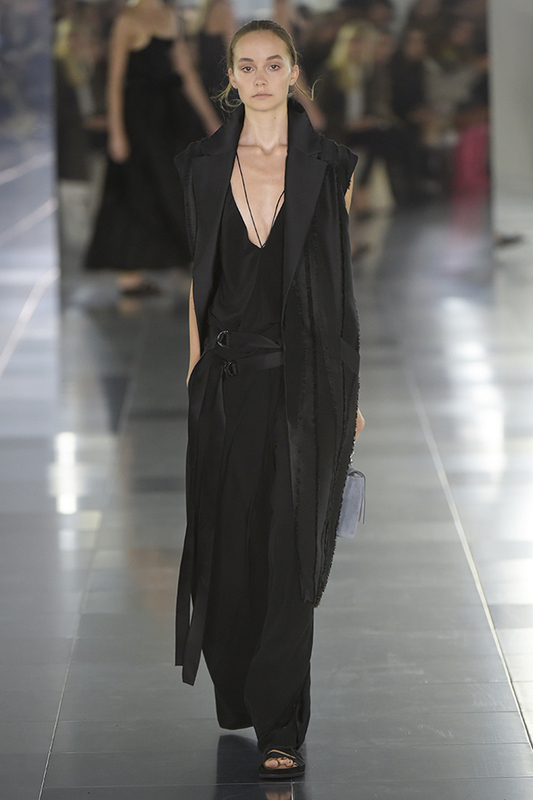 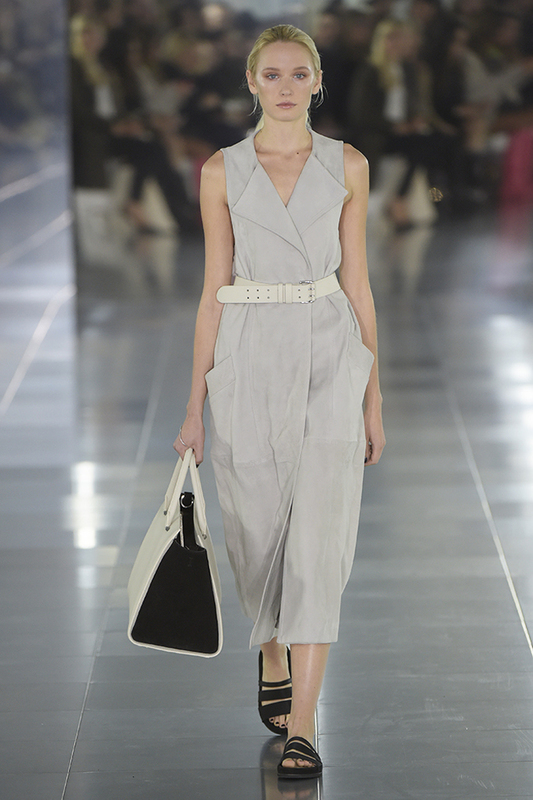 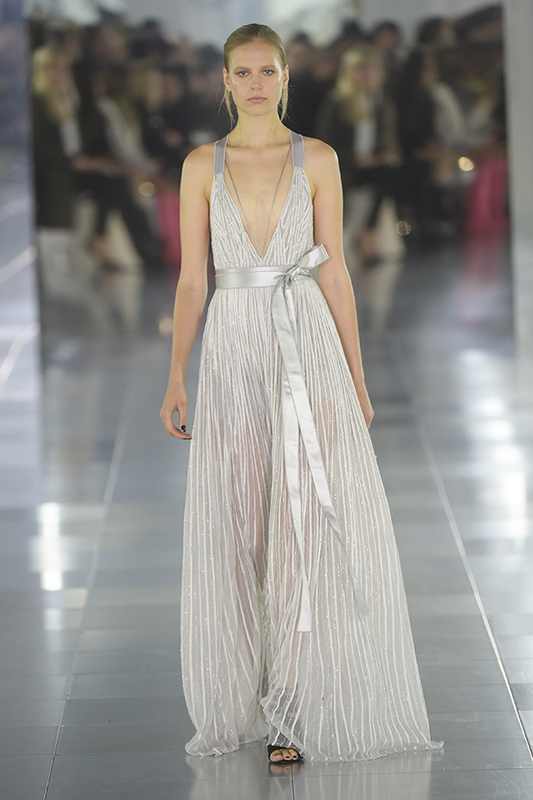 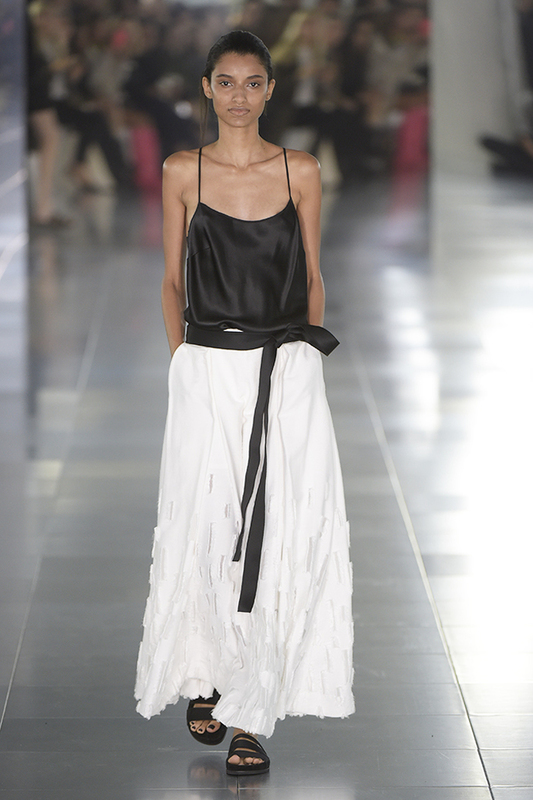 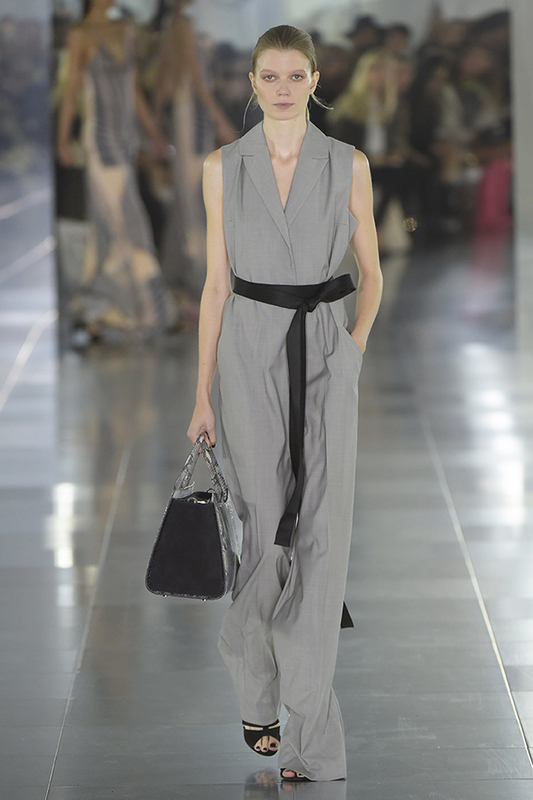 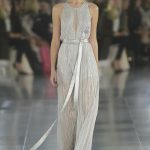 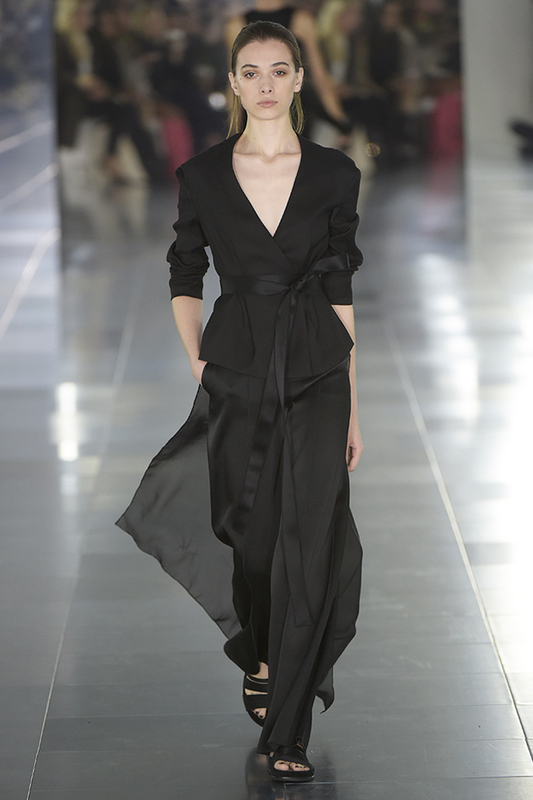 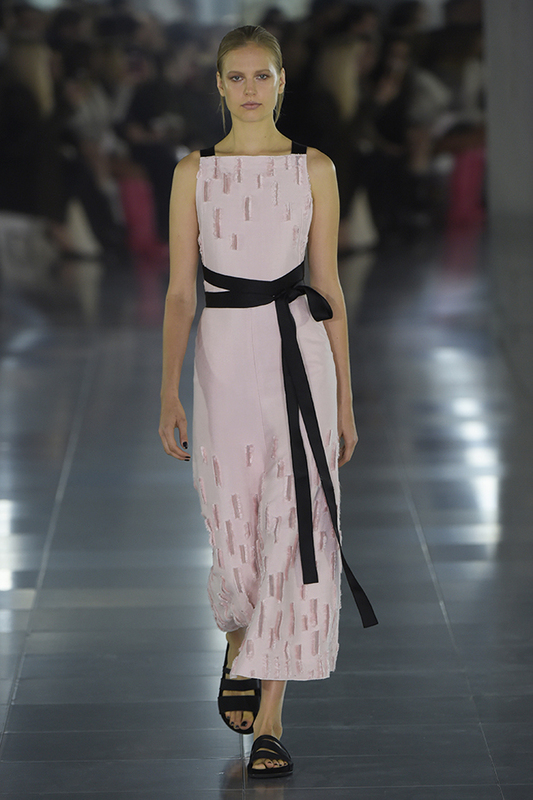 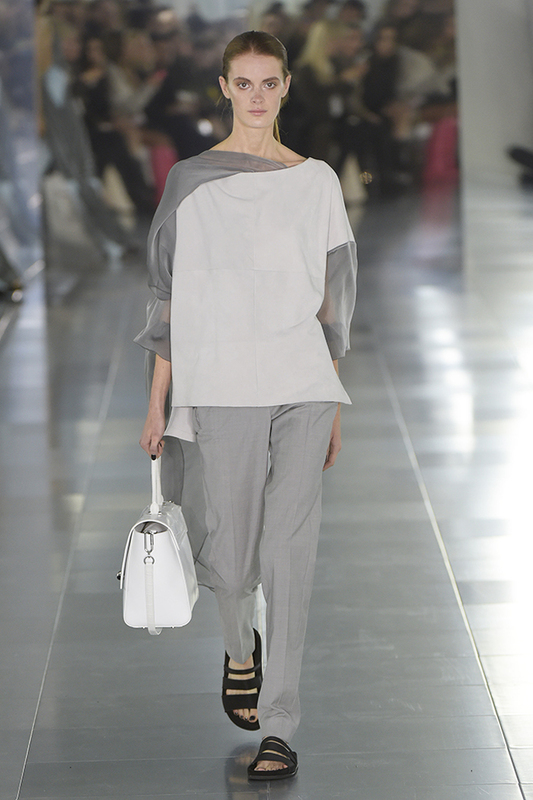 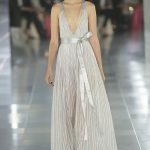 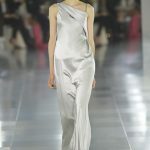 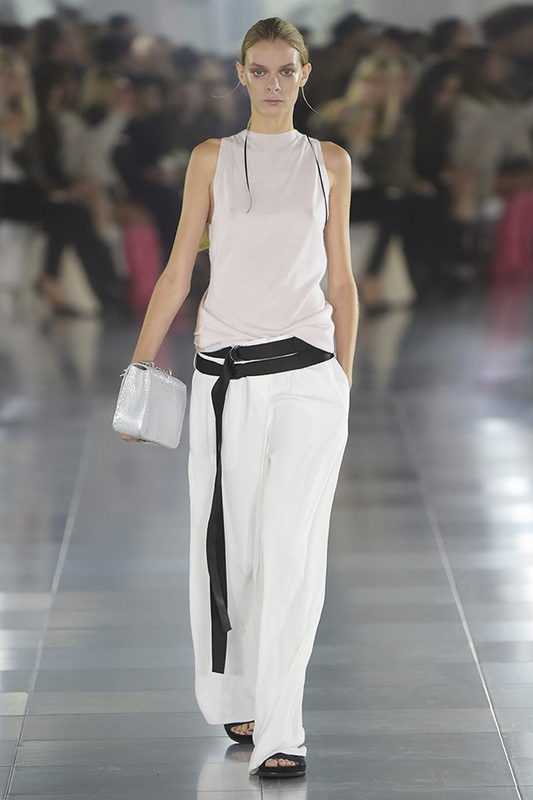 This streamlined, fuss-free outing from Amanda Wakeley was one of her best collections yet. 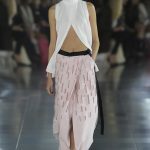 Inspired by the Spanish architect Santiago Calatrava, who’s known for his sweeping, futuristic shapes, Wakeley said she wanted to channel the strength and delicacy of his work. 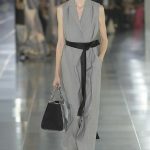 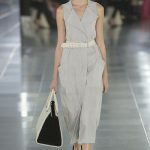 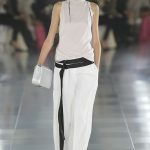 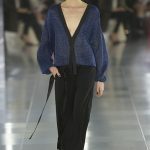 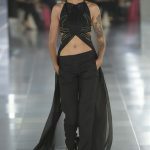 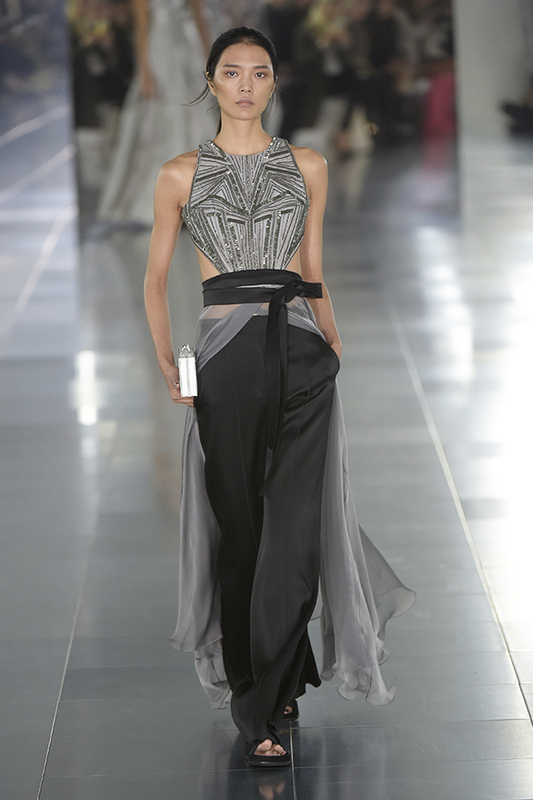 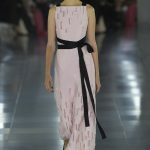 All that translated into loose, fluid shapes, such as a jumpsuit with a cutout back, and skirts that were long and full. 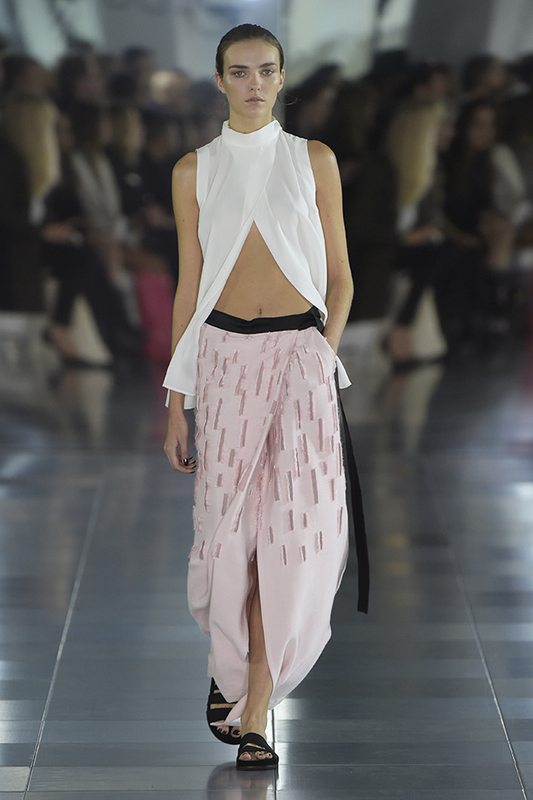 Some had geometric cutouts and were often paired with silky, racer-back tops. 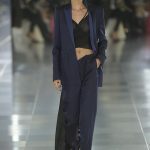 A cobalt coat with a full skirt and black lapels was a standout. 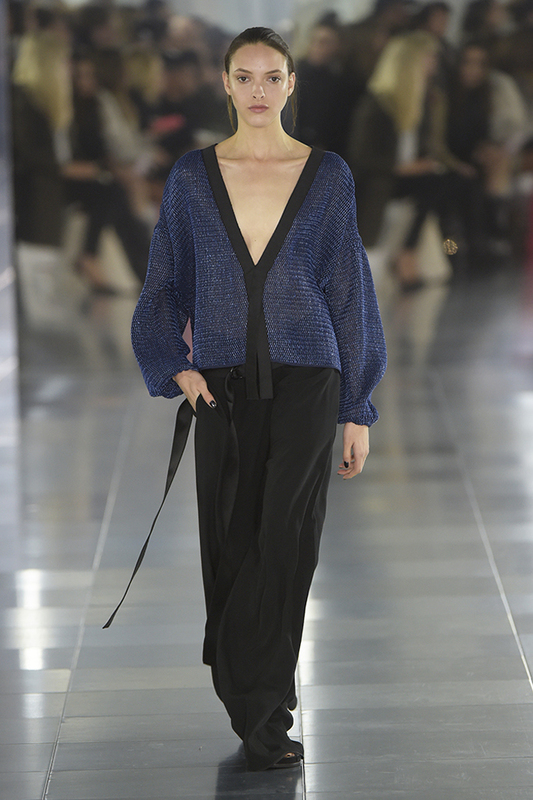 Languid, boyfriend-style knits had cashmere at the front and sheer, flowing panels at the back, for an ultra-light and feminine look. 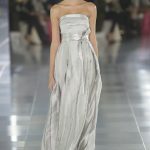 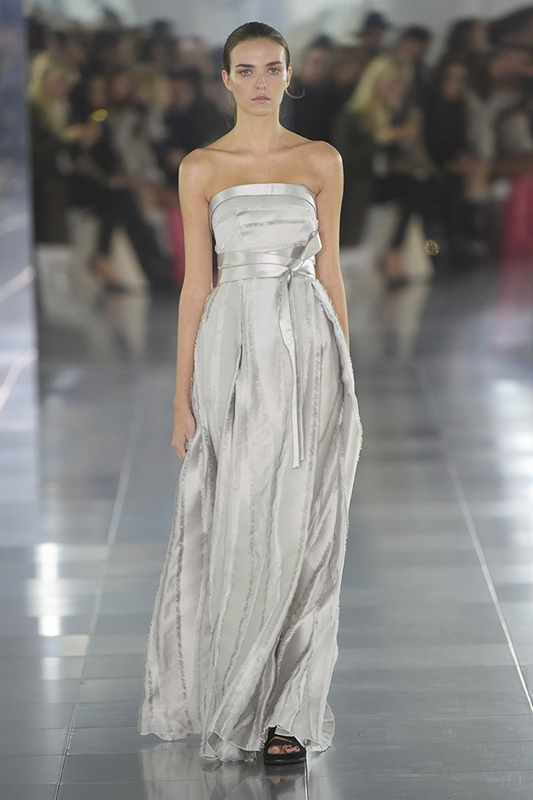 Evening silhouettes were sleek and slender, too, as in a shiny gray strapless dress and another with a subtly sparkling skirt. 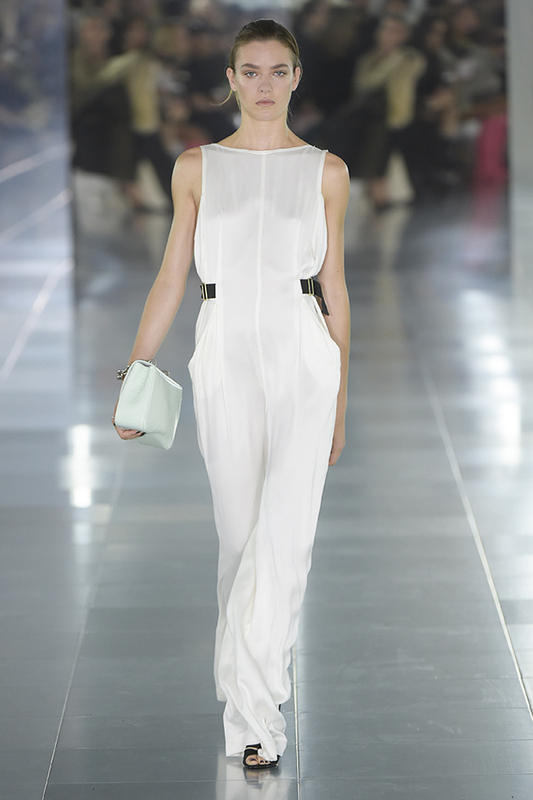 Wakeley clearly knows what her customer is craving.